It’s not a mighty astonishment that among the very new faces debuting as billionaires for the year 2015, are the ones who have made riches from the Big Data. Their empires are built solely on their prowess and expertise to collect, interpret and use data in such novel ways that no one in the past had ever visualized. Their cognition, acumen, and sagacity to exploit Big Data have proven to be a huge success. 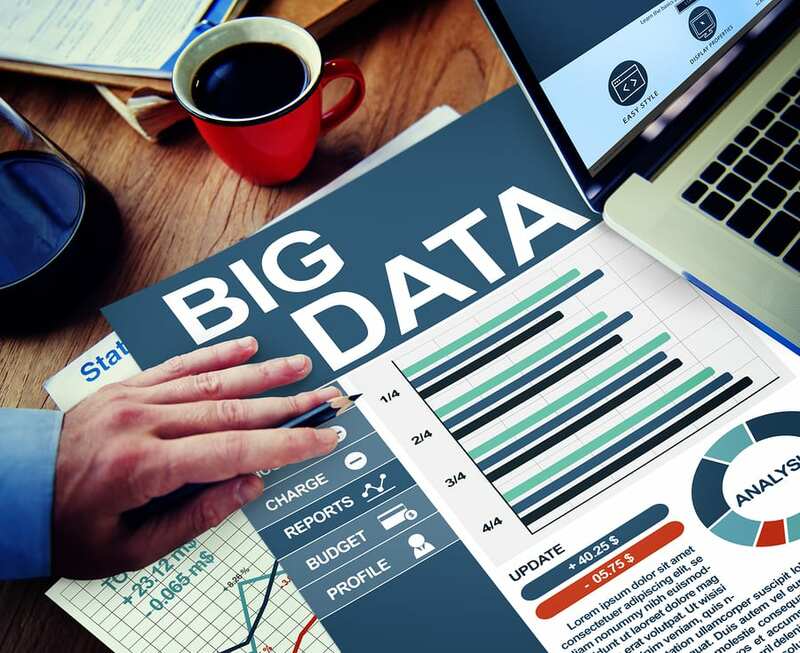 Whether it’s for combating financial frauds, terrorism , handling businesses or improving the mundane aspects of our day to day life Big Data is surely a ‘Big Deal’ but in a highly affirmative way. The solution is Big Data, wait! What’s the Question? The data flow from our daily life: credit cards, phones, computers television; from sensor equipped buildings buses, factories, planes, bridges and trains; from the infrastructure of e cities is so fast and pell-mell that its entire accumulation is of a zettabyte just in the past two years. There is such a big data revolution that is nearly dwarfed of even the records of human civilization. But, it’s not the quantity of the data that is revolutionary; the big data revolution is that, what and how productive things can be done with this colossal data. It is also believed that the potential benefits of Big Data to society go far beyond what has been accomplished so far. Among the students across the globe there is a huge appetite for this new field. It is estimated that a Harvard course in data science last fall enticed nearly 400 students from different disciplines including, schools of government, law, business, medicine, design, from degree Colleges, School of Applied Sciences and Engineering and even MIIT. Big Data –Sizzling with fortune! Big Data is growing huge and heavy, in this scenario most companies globally are in the hunt for the most accomplished data scientist and engineer. The increases is as massive as 300% since the year 2013.Moreover it is estimated that by the year 2018, there will be a exorbitant shortage of 1.5 million skilled managers/analysts who are Big Data literate according to the Mckinsey Global Institutes Report on Big Data. And India alone will soon face a prodigious shortage of nearly 2 Lacs data scientists –The Hindu. The talent pool of Big Data literates is sparingly low while the overwhelming demand is hard to occupy. A Big Data savvy can avail as much of $90-$180,000 depending upon the individual role and experience. Now, this is seemingly un-neglect able. The continuous hiring demand needs to be entertained as the Big Data flair in the mobile, financial, health care, marketing and e commerce and social media is eying for the right talent. The new breed of Data Scientists is working with both start-ups and well-established companies. Their sudden importance in today’s world alone describes that companies are wrestling with information that comes in varieties and volumes never encountered before. Often termed as the ‘Sexiest Job of 21st Century’, (Term postulated by the Harvard Business Review) is already facing a shortage of data scientist and this has become a serious constraint in majority of sectors. This high ranking profession is demanding some curiosity driven perspicacious professionals who want to make discoveries in the big world of ‘Big Data’. Much of the current enthusiasm for big data focuses on technologies that make taming it possible, including Hadoop (the most widely used framework for distributed file system processing) and related open-source tools, cloud computing, and data visualization. Lured enough by Big Data? Aegis School of Business and Telecommunication-A genius on its own! Making big in this ballooning world of Big Data in India is now possible with the Aegis School of Business and Telecommunication who have launched India’s first ever Post Graduate Program (PGP) in Business Analytics and Big Data in association with IBM. The Program is available Full time Post Graduation Program (On Campus), Online (Part Time Executive Program in Hybrid Model, On Campus and Online) and Part Time Executive Program in Online Model (Online Live Interactive). Aegis Programs’ Open course Framework offers participants the flexibility to build their own curriculum and choose a direction in Management, Technology or Techno-Management. The participants will receive a certification from IBM at the completion of the course. The most innovative part of the curriculum is that candidates would be trained at an IBM Business Analytics and IBM Cloud Computing Lab that would help student to polish and enhance their skills of Big Data, Business Analytics and Cloud Computing and Mobility. The Globally acceptable 36 Credit program is spread over the 11 month’s span with a minimum 2-3 months paid internship, now this is flamboyant! The new generation tech savvy will be trained in the World class infrastructure of MTNL, CETTM at Powai, Mumbai. The intensive training will help students develop the necessary and unique set of skills required for a successful career in the world of Big Data and Business Analytics. The eligibility criterion is simple; you need to be either of a Bachelor of Engineering, Bachelor of Technology, A Bachelor of Science (Mathematics, Information Technology, and Computer Science), and Bachelor of Computer Applications, Post Graduate degree in Science, Master of Arts and Post-Graduate degree in Computer Application. After the completion of the course the extensive knowledge will give you the opportunity to work either in the private or public sectors in roles such as: Business Analyst, Data Scientist, Business Intelligence Consultant, Data Architect, Chief Data Officer, Big Data Manager, among others. This Master’s degree will enable you to manage the languages of research methods, analytics, business performance and intelligence, and technology. New York University-The name itself is an enchanter! New York University has captured the true essence of Big Data, as they believe in ‘Turning Data in to insight. We know this, our hugely networked human world has generated and even generating a deluge of data that no organization, no system, no group of humans of a homo sapiens can process it with ease. This data deluge has a budding potential to transform the world. It can change the way a government, business, healthcare and science works. The emerging discipline of data science holds the key to unlocking that immense potential. It exploits automated methods to analyze massive amounts of data and extract knowledge from them. Apparently, Data science combines aspects of computer science, applied mathematics and statistics. “Data science will also revolutionize medicine, education, and other areas that are slated to become ‘evidence-based.’” This is what NYU’s Data Science and Statistics Working Group believe in. The ‘Go’ of Big Data! According to the ground breaking study by Big and Fast Data: The Rise of an Insight Driven Business produced jointly by CapGemini and EMC have postulated some thought provoking virgin aspects of Big Data that may change your cognition of this ‘Red Hot’ term from now. According to the reports about nearly 56% of the Enterprises across the globe will increase their investments in Big Data over the next three years while 70% of the IIT decision makers believe that Big Data is critical for their future success. Not to ignore, a whopping 53% believe that they have some serious competition from the Data enable startups. Majority of the enterprises believe that they might be in peril if they do not embrace big data and their chances of becoming irrelevant and uncompetitive are sky high. Certainly, these facts can’t be overlooked. For an industry that is booming so hastily, students surely have a reason to celebrate. As per the employment latitude and lack of skilled talent pool, this sector has a potential to hire tech savvy Big Data literates, like never before. The amorphously named Big Data that is a current lollapalooza is comprised of a set of four skills including, data analysis, data mining, and data structures and data acquisition. In the past twelve months demand of Big Data literates increased to 89.9% Demand for big data expertise across a range of occupations saw significant growth over the last twelve months. There was a 123.60% jump in demand for Information Technology Project Managers with big data expertise. The top five leading industries with the most frequent job opening requiring big data expertise includes Scientific and Technical Services, Manufacturing, Professional, Retail Trade, Information Technology , Remediation Service, Waste Management and Sustainability. Nearly 76% of these vacancies require Big Data expertise. While the median salary for professionals with Big Data expertise is $103,000 per annum. Nevertheless, IBM, Oracle and Cisco have the most open big data related positions currently. If you are a star; you will not be overlooked or if you are a high performer, you will not be slipped as Big Data demands smart and fair selection procedure based purely on talent, expertise and acuity.